Drs. Rodbard and Dempsey each have over 20 years of experience in managing diabetes, thyroid disease, obesity, osteoporosis, and disorders of the pituitary. We provide personalized, state of the art care to our patients. We listen and we'll work hard to improve your health. Drs. 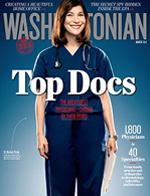 Rodbard and Dempsey have been consistently selected as one of the Top Doctors in Washingtonian Magazine. They have consistently been listed among the Best Doctors in America and as one of Checkbook Magazine's top endocrinologists in the Washington DC metro area. Drs. Rodbard and Dempsey have held local, regional, and national leadership positions in endocrine specialty organizations.